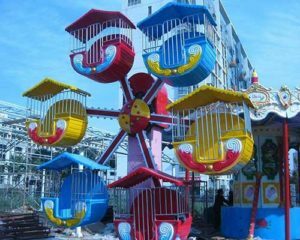 Ferris wheels for sale cheap in manufacturer Beston group! 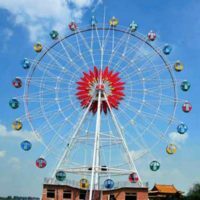 Various kinds of Ferris wheels with different colors and themes for you to choose from! Ferris wheel may not have the thrill, but it has the everlasting charm to attract peoples of all ages worldwide. 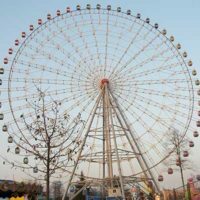 Ferris wheel is not only a must-have in theme and amusement parks all across the world, it also becomes icon in metropolitan cities all over the world. 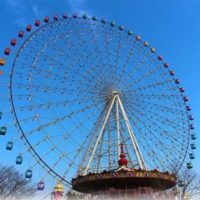 Due to this high popularity, Ferris wheels are often the best investments for your amusement rides businesses with great value. For real estate corporate, Ferris wheels are great magnets that enhance the reputation and esteem of your businesses. 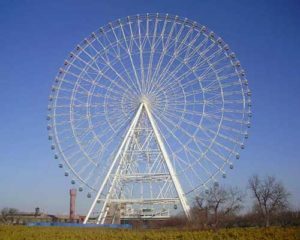 As for the state development, new Ferris wheels can become great attractions which promote the development of city tourism as well as reputation. 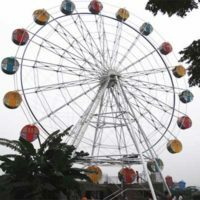 To meet your needs, Beston group, a top manufacturer of quality Ferris wheels, commits to offering your high grade Ferris wheels with reasonable prices. Tell Us What You Want Here! Ferris wheels are non-building mechanic structures with different heights. 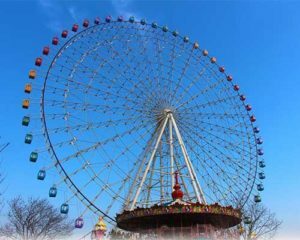 The common configuration is that Ferris wheel is consisted of an upright wheel, on which or from which passenger cabins are attached. 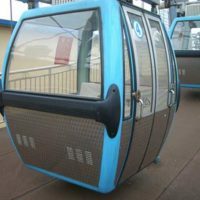 When the wheel turns, the cabins or capsules keep upright due to gravity or electric motors. As a result, passengers can sit quietly, move higher in the sky and have a wonderful view of surroundings. Modern Ferris wheels are usually complicated steel structures that are usually powered by motors and monitored by advanced computer technologies. 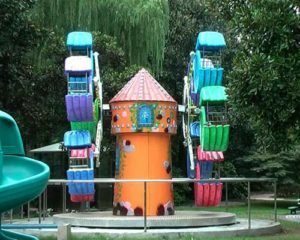 Of course, for small Ferris wheels for kids, they are much simpler and lower than the big ones. 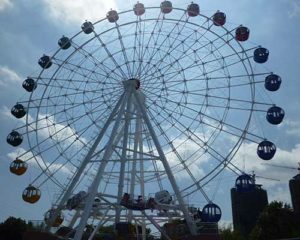 Ferris wheels are often found in amusement and theme parks all over the world. 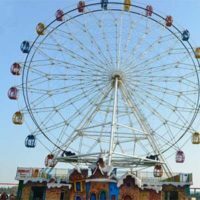 And together with roller coaster and carousel, these three amusement rides are often considered to be the must-haves in theme and amusement parks. Interested in Our Ferris Wheels? 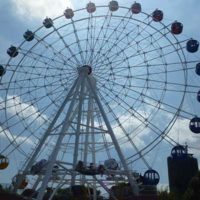 According to the functional principle, Ferris wheel can be divided into three categories: the gravity ones, the ones without spoke and the observational wheel. 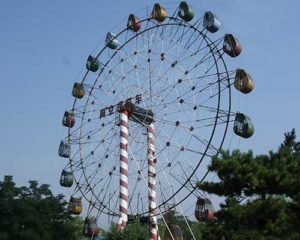 The gravity ones are Ferris wheels whose passenger cabins are kept upright by gravity. For the cabins are attached to the rim of the wheels. So when the wheel turns, due to gravity, the cabins will always stay upright. 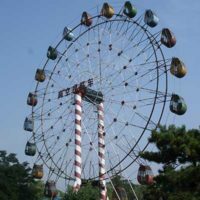 For observation wheels, they are often large in scales and their passenger cabins are often enclosed and air-conditioned, so the cabins are often called capsules. In addition, the capsules are often attached outside the rim of wheel. And to keep the capsules upright, electric motors are used. 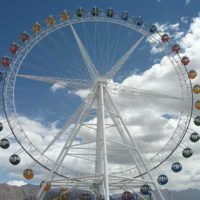 In light of the height, size and complexity, observation wheels are often used for tourism purposes, and they are often constructed beside rivers or other beautiful scenes so that riders can have a panoramic view of their surroundings. As for the Ferris wheels without spokes, they are extraordinary for they look like big rings. And in fact, on Ferris wheels without spokes the passengers cabins do not move while the whole tunnel like structures move around. 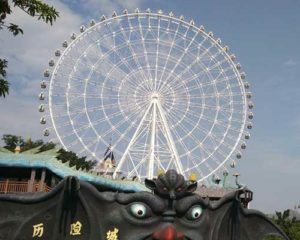 And the highest Ferris wheel without spokes is the one in Changzhou, China. 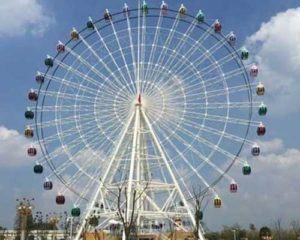 Except for the above classifications, Ferris wheel rides can also be classified according to different criteria, such as height, the spoke structures of the Ferris wheels. 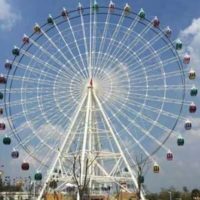 For example, according to the height of the wheels, there are small Ferris wheels for kids, indoor Ferris wheels, big wheels in amusement parks, and giant observation wheels. 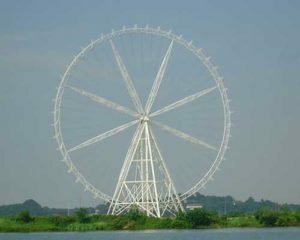 When it comes to the spoke structures, there are joint Ferris wheels with dense thin spokes and others with sparse thick spokes. In all, there are many kinds Ferris wheels. 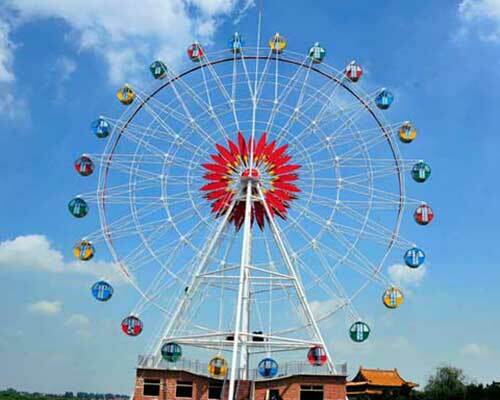 And the good news for you is that Beston group also offers different kinds of Ferris wheels for you to choose. 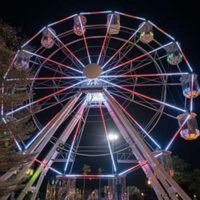 And what’s more, Beston built Ferris wheels can be customized to meet your needs in heights, themes, sizes, and light packages. 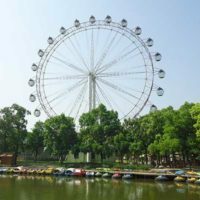 Besides, the best part of Beston Ferris wheels is that they are of high quality but with reasonable lower prices compared with our competitors worldwide. 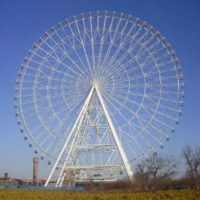 Why Beston built Ferris wheels are of high quality with reasonable prices? Modern Ferris wheels are made of steels. From the macro aspect, as a large emerging economy, China consume more steels than other countries and regions, which make the quality steels more affordable in China. Besides, transportation in China is highly convenient which also save the ferry fees of our quality materials. 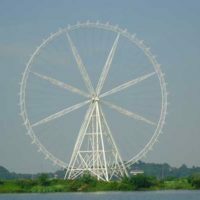 While from micro aspect, Beston is leading manufacturer of Ferris wheels with qualified certifications as well as rich experience. 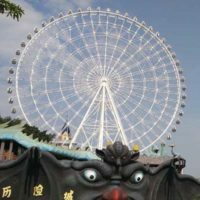 Besides, we always fight for our mission of providing quality theme park rides for customers with reasonable prices and build worldwide brand. To put it simply, we always put the interests of customers first. So Beston made Ferris wheels are always of high quality with reasonable prices. 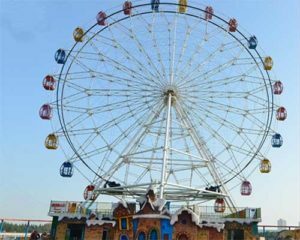 Want to Buy Beston Ferris Wheels? 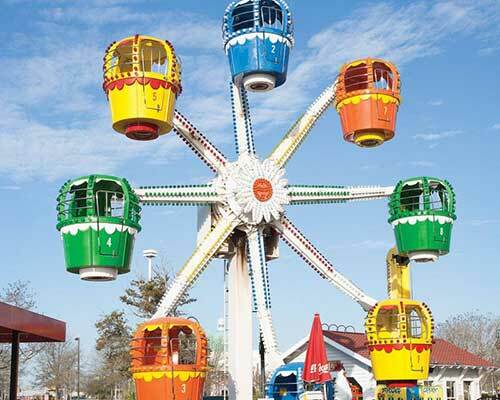 Beston group is top manufacturer and supplier of many kinds of amusement park rides in China. 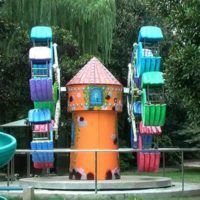 We specialize in designing and making various theme parks rides, ranging from roller coasters to small kiddie rides. 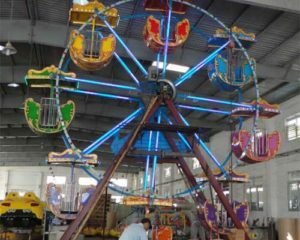 As a qualified manufacturer, Beston pays great attentions to the quality of our fairground rides as well as the interests of our customers all over the world. 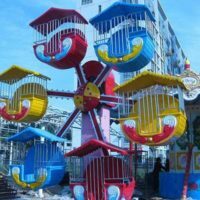 So we spend no efforts to provide quality carnival rides to customers all across the globe with reasonable prices. 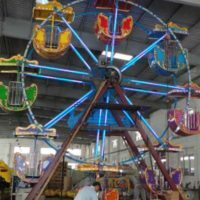 As a Ferris wheel manufacturer, Beston has many kinds of Ferris wheels to offer all with top quality and low prices. 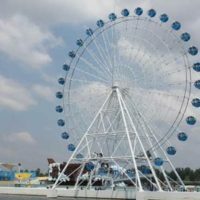 Good quality materials and high technologies of Beston Ferris wheels ensure that they are of great value for your amusement businesses in long term. So our mission is always keeping in line with yours and welcome to contacting us for more details.